Located on the south coast of the UK, Brighton is often referred to as London-by-the-sea, offering the cosmopolitan benefits of a major city, but also the relaxing serenity of the ocean and seaside. Located just one hour from London, Brighton has plenty to offer a young international learner looking to relax away from their studies and langage schools such as EF Brighton, EC Brighton and Embassy English Brighton will often organise trips to all of the below locations and attractions. Learn more about Brighton below and, if you are ready to apply, contact SI-English today. 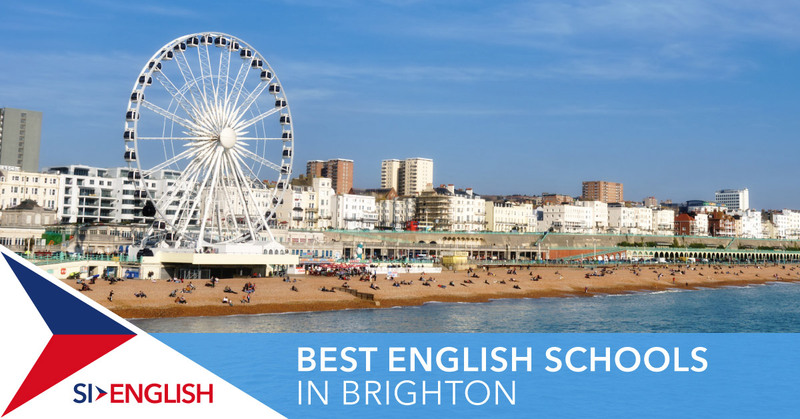 We can guarantee you an offer from an English in Brighton within 24 hours of your application being submitted! One of the most famous sites in Brighton is the Royal Pavilion, which was originally built as a seaside pleasure palace for King George IV. Take a guided trip around its stunning halls which mix royal grandeur with a unique Indian and Chinese visual style. The Lanes is in a particularly historic and cool part of the city, and is maze of alleys and paths featuring boutique shops, restaurants and cafes. Pick up a guide and join the thousands of other shoppers browsing windows or buying gifts. Want to get away from it all? Devil’s Dyke is just five miles north of Brighton and offers unforgettable panoramas of the traditional English countryside. Take a picnic, rent a bike and soak up the longest, deepest and widest 'dry valley' in the UK. Opened in 1899, Brighton Pier is one of the largest traditional seaside piers in the UK, stretching almost 600ft into the sea. Once there, enjoy a traditional English fish and chips, take a ride on the funfair, or enjoy the games and attractions – there is something to be found for everyone! Brighton is famous as a particularly social place to live, and you with a huge assortment of clubs, live music venues, shops, restaurants, bars, galleries and museums to enjoy, you will not be bored! If you are interested in studying English in Brighton, apply with SI-English today. We can help you apply and guarantee you an offer letter from a school within 24 hours!